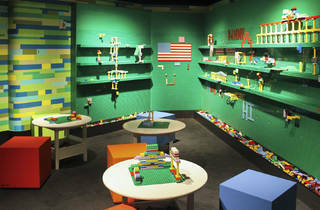 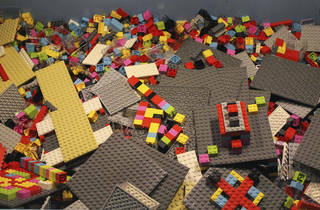 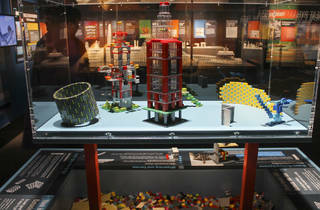 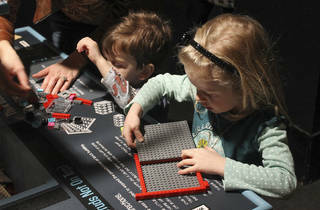 A collection of giant LEGO models and hands-on activities celebrates the power of creation. 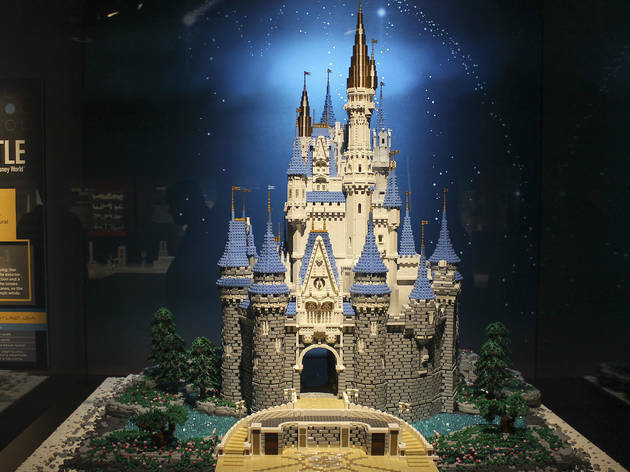 Anyone who pays attention to popular culture knows that LEGO is a hugely successful multimedia property, complete with a blockbuster movie, TV shows and video games that feature the brand’s signature mini-figures and bricks. 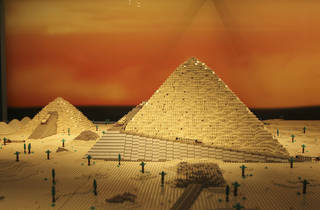 But at its core, LEGO is a toy that encourages people of all ages to build something, from fantastical spaceships to models of real-world structures. 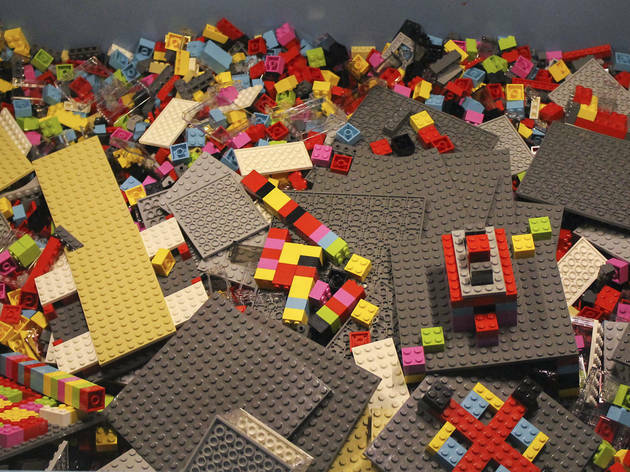 It’s a catalyst for creation—one that is simple to understand but deceptively difficult to master. 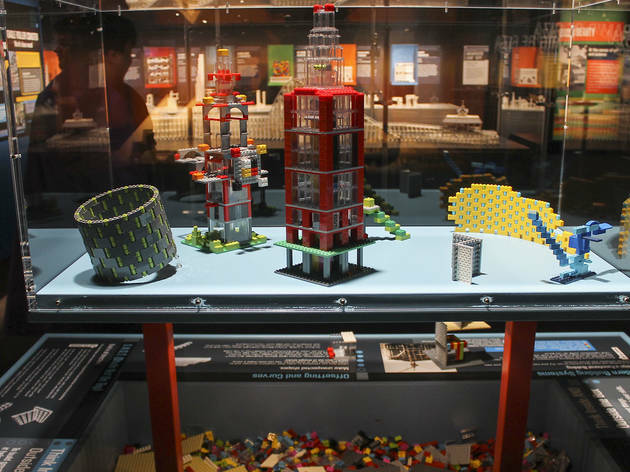 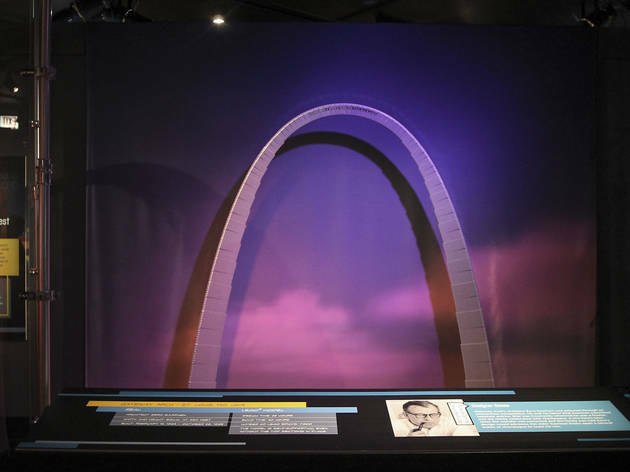 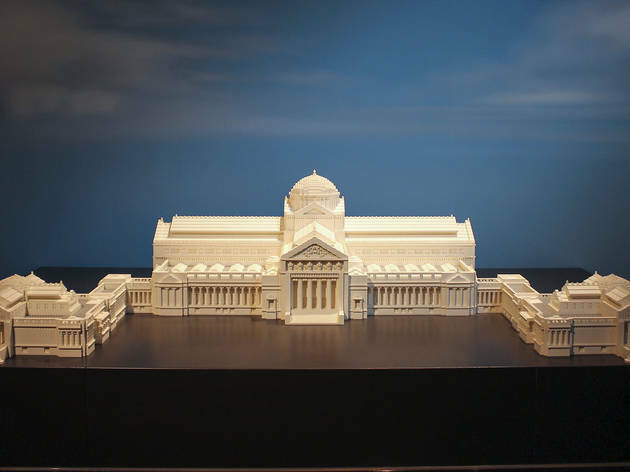 The Museum of Science and Industry’s “Brick by Brick” exhibition uses LEGO toys as a framing device for an exploration of architectural principles, famous structures and the power of creativity. 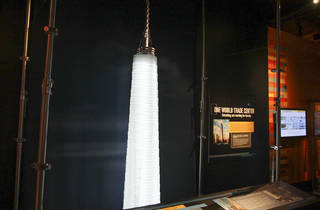 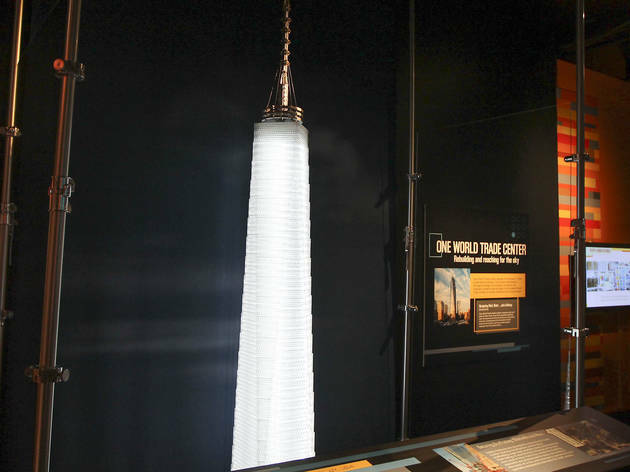 The museum recruited LEGO Certified Professional (yes, that’s a real job—there are only 14 in the world) Adam Reed Tucker to create towering scale LEGO models of recognizable architectural marvels, such as the Burj Khalifa skyscraper in Dubai and Disney World’s iconic Cinderella Castle. 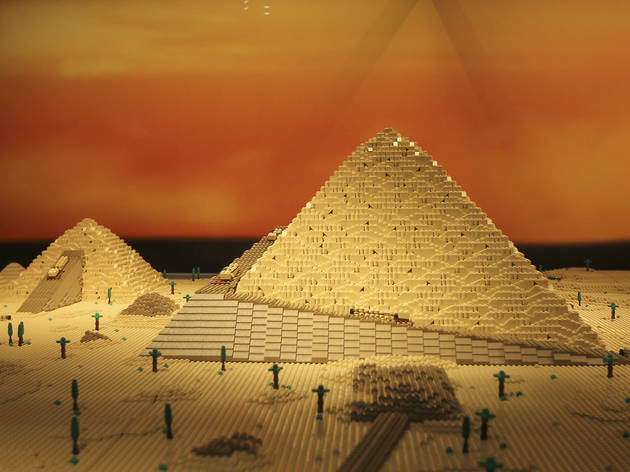 You’ll find these creations (and more) on display now in Chicago, alongside a 60-foot-long Golden Gate Bridge made up of 64,500 LEGO bricks. 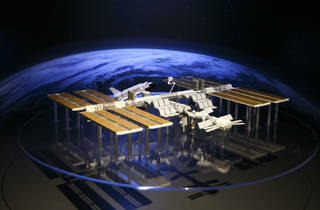 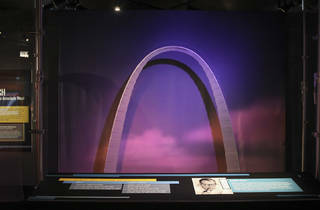 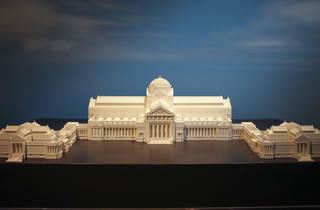 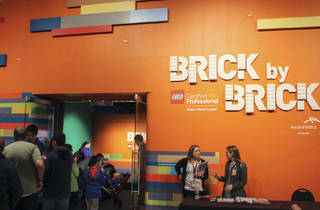 Adult visitors may marvel at the intricate construction of the large-scale models, but younger guests will be enthralled by the interactive elements that dominate much of the exhibit. 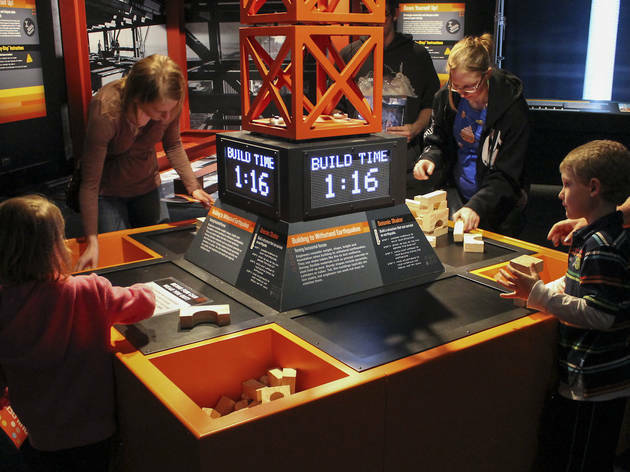 A seismic shaker tasks kids with using blocks to build a structure that can withstand a simulated earthquake. 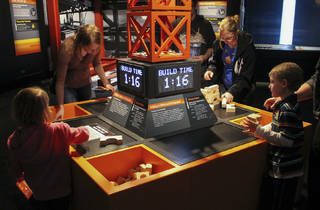 Nearby, a pair of chairs attached to pulleys allows attendees to lift themselves (or others) with the assistance of a simple machine. 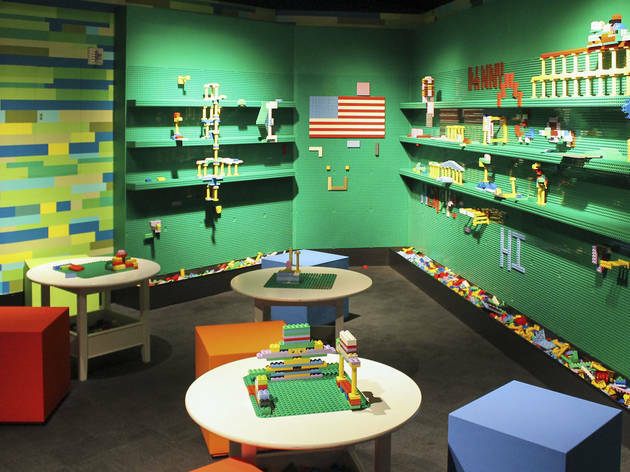 Of course, there are plenty of LEGO bricks to play with in the back of the exhibit, including stations where guests can build and race LEGO cars, learn how to create curves with simple bricks or construct a pristine piece of LEGO architecture. 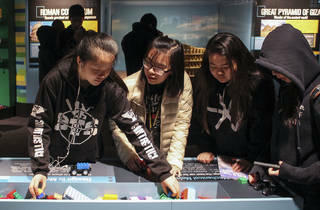 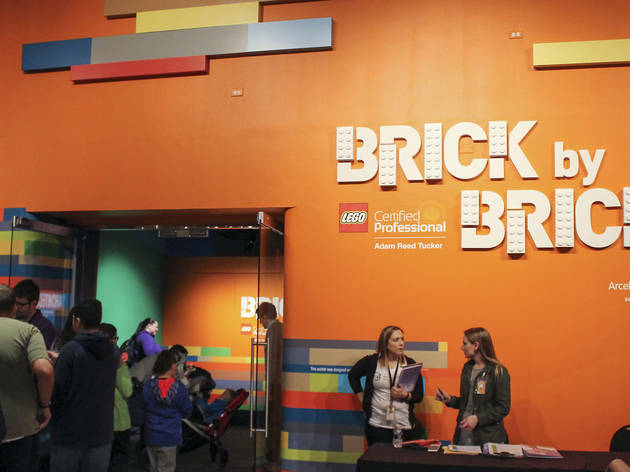 “Brick by Brick” could easily have been a glorified, interactive advertisement for LEGO toys, but the exhibit manages to use the toy as a tool for teaching guests about engineering, architecture and more. 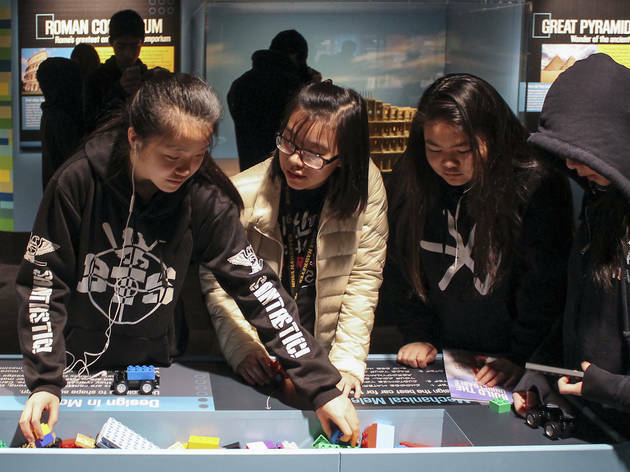 It acts as a clever hook for younger attendees, allowing them to tackle foreign concepts through a plaything that most kids are very familiar with. 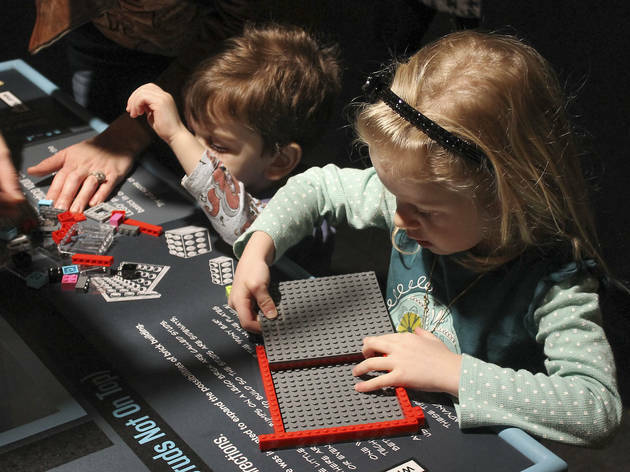 The exhibit’s emphasis on hands-on activities means you’ll need to slow down and participate to get the most out of the experience. 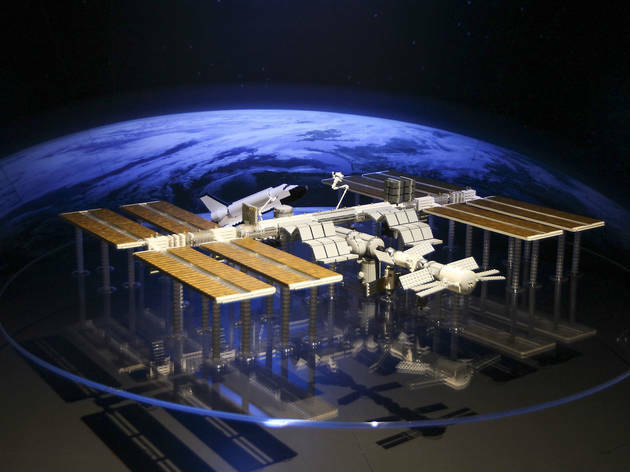 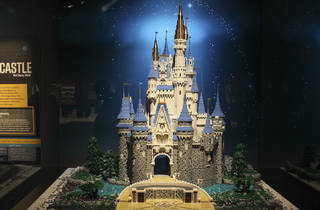 Even if you’re just showing up to see the detailed models on display, it’s hard to resist the urge to pick up some bricks and begin building your own creation.